Many people don’t realize that crossing the line to addiction is always an accident and that addicts can’t possibly be held to false standards of morality. They have an illness that can be treated. Alcohol, opiate and drug addicts can once again become a productive part of the society. Grandmothers, star athletes and devotedly religious people and middle aged men: these are just some of the addicts we come across during a normal hospital visit. Many of them abstain from drugs and alcohol, and aren’t the textbook definition of a “junkie”. 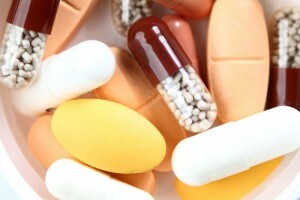 Prescription drugs and opiates can be blamed for their conditions. It is a huge misconception that addiction can be beaten with pure will-power. It is a real medical illness. It takes as little as 2 weeks of regular consumption of taking prescription opiates, to help create an addiction. As many as 207 million prescriptions are written for opiate painkillers each year in the United States. A majority of these prescriptions are completely legal and legitimate, while many others are illicit and only designed to get opiates to be sold on the black market. As addiction continues to kill hundreds of thousands of Americans each year, categorizing addicts on the basis of how they got addicted, defeats the cause. Do we deny cancer patients treatments because they got it via smoking cigarettes? No. We shouldn’t differentiate between opiate addicts, alcoholics and addicts of other drugs. Becoming an addict is never a choice. It always starts with “just this once”. That maybe a deliberate choice, but actually getting addicted to the substance is never premeditated. It is important to stop moralizing addiction and judging addicts. Sanctimony is not cure, and until we chose to help, i.e. with rehabilitation and detoxification, addicts will continue to increase. We all know the popular stereotypes of addiction: tattoos, syringes, lying on the road side, poor and completely inept at life. The reality is that millions of Americans are in-the-closet addicts. Pain or anxiety medications are affecting well-respected, successful, upstanding members of the society. Fortunately, help is available for opiate and prescription drug addiction. Surf City Recovery holds the key to helping you find enduring sobriety, ensuring complete cure from addiction with leading Opiate Rehab Center in Orange County, CA. Call 714.841.3863 to break free from opiate dependence and build a new life free from any kind of addiction.